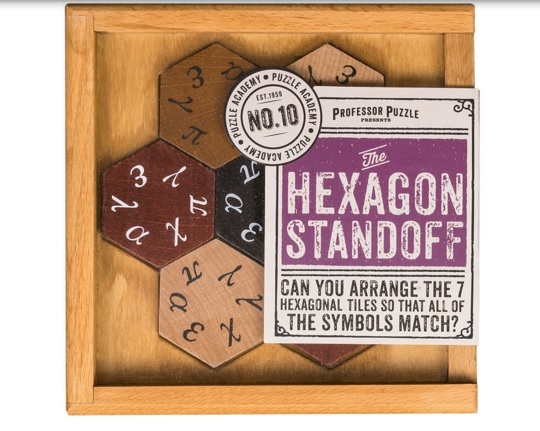 This product from ChessBaron: Wooden puzzles made to fox. 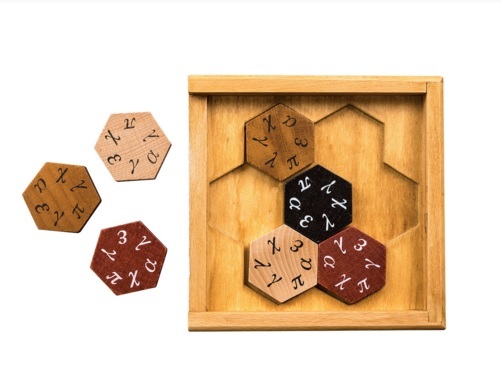 Can you arrange the 7 hexagonal tiles so that all of the symbols face each other? Don't let it drive you mad - you can have the solution emailed.